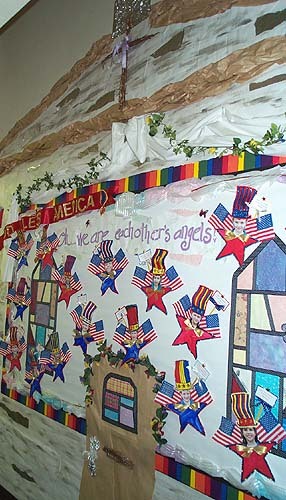 Mrs. Weatherford has melded faith and patriotism in this board. The church has a cross on top, a door, and stained glass windows. 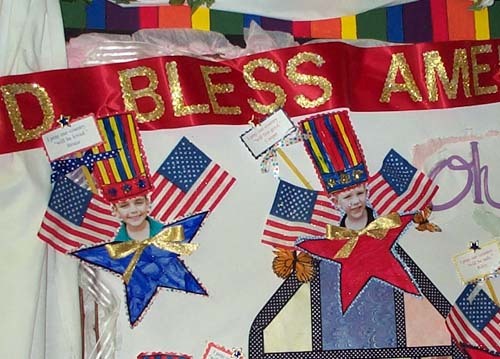 Here is a close-up of the individual pictures and flags. Press "Go" to search for God Bless America.